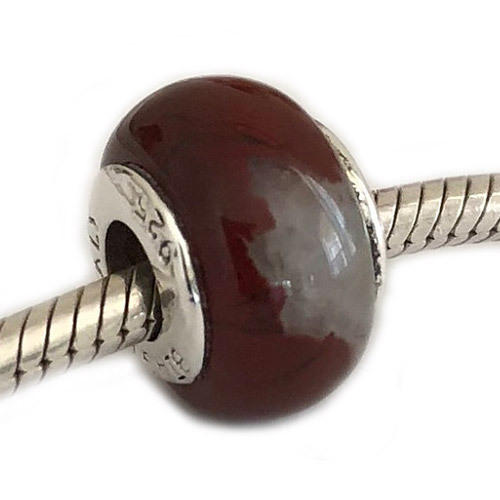 Poppy Jasper Stone Carlo Biagi Bead is Sterling Silver and a great way to personalize European bead bracelets. Fits popular charm bead bracelets such as Chamilia, Troll, P-NDORA and more. Sample display bead. Price Reduced!